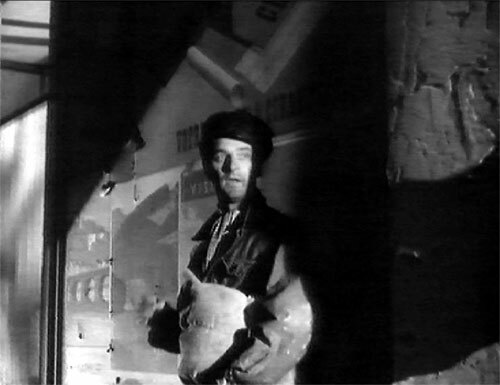 “Silent Dust”, released in February 1949, was one of a group of films that explored the problems of the returning Second World War veteran. Although the maladjusted veteran is a feature of all major wars, it assumes an added significance in this instance because the Second World War, in Britain and America at least, is conventionally understood “almost universally as honourable and noble, fought with right and justice exclusively on the Allied side”.1 Angus Calder has argued that the dominant narrative constructed about the Second World War in Britain was what he terms the “myth of the Blitz”, a heroic myth of courage, endurance and pulling together. This myth, through its perpetuation in an enormous array of cultural practices - notably a cycle of combat films in the 1950s such as “The Dam Busters” (1955) and “Reach for the Sky” (1956) - became the accepted view and was almost impossible to dislodge.2 It was a myth that was officially ratified in the British state’s commemoration of the war and, like all dominant discourses, served to marginalise alternative constructions of the conflict, particularly those that represent it as a traumatic and possibly brutalising experience. By analysing “Silent Dust” in detail and in relation to its social and cultural context, I hope to recover this repressed narrative and restore it to its rightful place as an important discourse about the Second World War. “Silent Dust” is set in a small village in rural England. The action takes place three years after the war has ended, as Robert Rawley, a wealthy, self-made industrialist, now blind, is eagerly anticipating the ceremonial opening of the sports pavilion he has commissioned to honour the memory of his son, Lieutenant Simon Rawley, who fell in February 1945. However, his preparations provoke disquiet. Joan, his former secretary and now his second wife, is frightened that their marriage is beginning to disintegrate under the strain of Rawley’s obsession with his son’s death. Lord Clandon, the local squire now living in genteel poverty, requests that the pavilion be rededicated to all the local lads who have fallen in the war, including Clandon’s own son. Simon’s wife, Angela, who has been asked to return in order to be present at the opening, is also critical and reveals that she has secretly remarried an army doctor, Captain Maxwell Oliver, Lord Clandon’s nephew. However, everything is thrown into disarray when Simon returns, having faked his own death in order to escape from the pressures of combat life and turned to criminality. He is now on the run, having killed the driver of a car he stole. The police, unaware of the identity of the murderer, are searching the district for a man with a scar on his cheek. Simon tries to blackmail his family into giving him money to escape arrest, but when his father refuses and the two struggle, Simon falls to his death from the first floor balcony. “Silent Dust” was a modest first feature, with a limited production budget but a strong cast. The film’s guiding force was probably the Moscow-born Nat Bronsten, an ambitious independent producer who had made three films which explore wartime dislocation3 and who was clearly drawn to dark, hard-hitting, topical films that were relatively inexpensive to produce. The key creative personnel, director Lance Comfort, cinematographer Wilkie Cooper, production designer C.P. Norman and composer Georges Auric had all worked on similar films, which explains the stylistic accomplishment and sure-footedness of “Silent Dust”. It also owes much to Michael Pertwee’s incisive screenplay, an adaptation of his own 1948 play “The Paragon” (written with his father Roland). Back to the mansion call the fleeting breath? Or flatt’ry soothe the dull cold earth of death? Clandon sees Rawley’s actions as ostentatious and insensitive, exhibiting a disdain for the village lads whose lives are just as important and for whom Clandon feels the aristocracy’s traditional noblesse oblige as opposed to the egotistical self-importance of the arriviste - Rawley only moved into the district in 1944. But if these deeply entrenched class antagonisms of British society continued to be played out in the war’s aftermath by an older generation still gripped by the war, the newly married couple, Angela (Sally Gray) and Max Oliver (Derek Farr), represent the modern, progressive middle class anxious to forget the war. Having worked in Berlin to reconstruct a shattered Germany, the couple have the potential to forge a new, egalitarian community, the longed-for New Jerusalem, in post-war Britain. The returning veteran was an important figure in post-war British society, as it was elsewhere in Europe and America.4 From as early as 1941, medical experts had predicted that many servicemen would experience profound difficulties in returning to civilian life with the term “war trauma” entering into wide circulation, replacing the older term “shell shocked”. The weight of medical opinion caused various government initiatives to be pursued: rehabilitation centres, forms of outreach and the wider dissemination of psychologists and psychiatrists. The traumatised veteran acted, in many ways, as a test case for a society that was, after the Beveridge Report of 1943, evolving into a welfare state, tolerant and humane, with a significantly increased depth and breadth of responsibility towards its citizens, “from the cradle to the grave”, one which was therefore committed to reassimilating its “damaged” men, including deserters. Returning from the dead: Simon continously approaches his father’s new home. The deserter on the run: Simon slips into a sidestreet to avoid detection. The father-son relationship is at the heart of “Silent Dust”, and the film builds steadily towards their meeting. 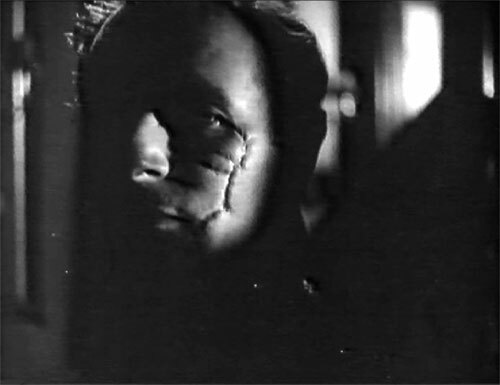 In an innovative sequence, Cooper recreates the world as perceived by a blind man by using a negative image on the filmstock, which gradually gives way to a positive one as Rawley painstakingly pieces together the strange occurrences and odd behaviour which have puzzled him during that day. As he comes to understand what it is that the others have gone to such lengths to conceal from him, he finally forms an image of his son’s return, first in his military pose with dignified mien, but then as the outcast, with a monstrous scar on his cheek. Simon in his father’s imagination: the scar has assumed monstrous proportions. It is a moment of clear-sightedness that allows Rawley to regain his appreciation of Joan. “I’ve suddenly realised how lucky I am”, he murmurs in a moving moment as he gently caresses Joan’s face and asks her to tell Clandon that the pavilion will be rededicated to all those who fell. Rawley’s blindness is a metaphor for his refusal to acknowledge his son’s true character, and his awakening from his delusion prepares for the final confrontation between father and son. When they meet, Rawley still expects Simon to behave honourably, to commit suicide like a gentleman and to save the family name. True to his character, Simon refuses and tries to wheedle his father into giving him, if not money, then the chance to escape, before trying to physically overpower him. In the ensuing struggle, Simon falls to his death like a modern Lucifer. At this point Lord Clandon, representing a decaying but still morally active aristocracy, intervenes to suggest to Rawley that all likenesses of Simon are removed from the house, and therefore, when the police find the corpse of the man with the scar on his face, it will be that of the unknown murderer for whom they have been searching the district. Thus Simon’s death seems to provide “Silent Dust” with a point of closure. It frees Angela to continue her marriage to Max, clearly an honourable man with a responsible profession, and frees Rawley from the terrible burden of his son’s memory without bringing dishonour to the family name. The final image - a game of cricket played on the square in front of the pavilion - is an evo-cative representation of traditional English pastoral, a ‘timeless’ image of a so-ciety restored to a harmonious order in which the wounds that the war has inflicted on this community have been healed. And yet this closure is achieved only by removing all trace of the real Simon and perpetuating the fiction of the gallant officer who fell honourably in battle. Therefore it is a closure shot through with a devastating irony, one that insists that the peace, the restoration of order and stability and the hopes for a ‘New Jerusalem’, can only be achieved by erasing the unacceptable forces that were released in wartime, and by obliterating all knowledge and remembrance of the ‘other war’ and the malevolent figures it produced. The central action of the film presents that terrifying thought - usually suppressed but present in a number of these noirs including “Cage of Gold” (1950), “Cloudburst” (1950), “The Deep Blue Sea” (1955), “A Prize of Gold” (1956) in which Patrick played a similar role, and “Libel” (1959) - that the wrong men survived the war, the ones who would have been better dead. Many of these disturbing noirs, notably “They Made Me a Fugitive”, were attacked by critics, by the British Board of Film Censors which tried to prevent their development, and even at ministerial level. In the House of Commons in June 1948 Harold Wilson, Secretary to the Board of Trade Secretary who therefore had special responsibility for the film industry, commented: “We are getting tired of some of the gangster, sadistic and psychological films of which we seem to have so many, of diseased minds, schizophrenia, amnesia... I should like to see more films which genuinely show our way of life, and I am not aware... That amnesia and schizophrenia are stock parts of our social life.”10 In this critical and political animus, we can detect a genuine fear that the war has created something monstrous whose representation, even acknowledgement, must be both condemned and suppressed. 1 David Cesarani, Lacking in Conviction: British War Crimes Policy and National Memory of the Second World War, in: Martin Evans/Ken Lunn (eds. ), War and Memory in the Twentieth Century, Oxford 1997, pp. 27-36, here pp. 27-28. 2 Angus Calder, The Myth of the Blitz, London 1991. 3 “They Made Me a Fugitive” (1947), “Dancing with Crime” (1947) and “Obsession” (1948). 4 For a discussion of Britain and France see Marilyn Butler, Film and Community: Britain and France, London 2004, pp. 98-124. 5 See M-O 2491 (May 1947) Deserters, Mass-Observation Archive, University of Sussex. 6 Sydney Jacobson, The Problem of the Demobbed Officer, in: Picture Post, 26.1.1946, pp. 19-20. 7 Jay Winter, Sites of Memory, Sites of Mourning: The Great War in European Cultural History, Cambridge 1995, pp. 15-28. 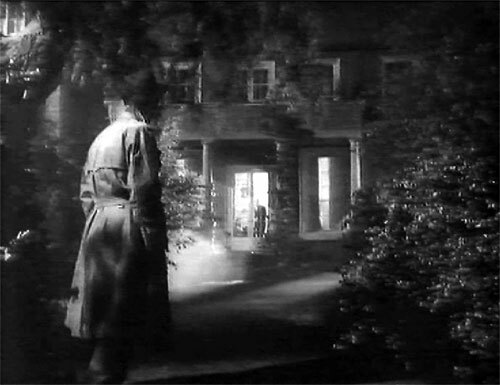 8 For further discussion see my Film Noir, Harlow 2002. 9 See Andrew Spicer, The “other war”: subversive images of the Second World War in service comedies, in: Stephen Caunce et al. (eds. ), Relocating Britishness, Manchester 2004, pp. 167-182. 10 Hansard, 5th series, vol. 452, column 775, 17.6.1948, quoted in Charles Barr, Introduction: Amnesia and Schizophrenia, in: idem (ed. ), All Our Yesterdays, London 1986, p. 14. 11 C.A. Lejeune, in: Observer, 6.2.1949. 12 Anon., in: News of the World, 6.2.1949. 13 The exception is Brian McFarlane, Lance Comfort, Manchester 1999, pp. 89-94. 14 The author would like to thank Joyce Woolridge for preparing the images. Andrew Spicer, What Cannot Be Said. „Silent Dust“ (1949) and the Malevolent Veteran, in: Zeithistorische Forschungen/Studies in Contemporary History, Online-Ausgabe, 2 (2005), H. 1, URL: http://www.zeithistorische-forschungen.de/1-2005/id=4712, Druckausgabe: S. 110-118.